Food for Thought: Do Health Food Stores Mean Healthy Home Values? Zip codes with only a Whole Foods (no Trader Joes) experienced a 34% gain in home values. Zip codes with only a Whole Foods (no Trader Joes) have an average home value of $561,840. Zip codes with only a Whole Foods (no Trader Joes) paid average property taxes of $5,382. Zip codes with only a Trader Joes (no Whole Foods) experiences a 40% gain in home values. Zip codes with only a Trader Joes (no Whole Foods) have an average home value of $592,339. Zip codes with only a Trades Joes (no Whole Foods) paid average property taxes of $8,536. Yes, you read that correctly. 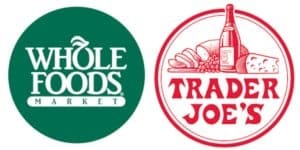 Having a Trader Joes nearby actually has a more positive impact on home values than Whole Foods! Honestly, I would have thought just the opposite when comparing their products, prices, etc. After all, I’m sure some of us look at shopping at Whole Foods as more of a luxury than necessity. While growing home values are definitely a good thing, on the downside those higher values usually bring larger property taxes which we can see in this case. It may also make it less affordable for those who want to purchase a home in that area. There are always two sides to the story! For those of us in Metro Atlanta though, both Trader Joes and Whole Foods stores seem to be popping up all over the place. Hopefully that is good news for all of our home values! If you’re interested in finding a Metro Atlanta home near one of these popular stores let us know! The Peters Company would be happy to help you make a “healthy” home buying decision in 2016! Give us a call today at 404.419.3619! Now excuse me while I go enjoy a glass of Two Buck Chuck!